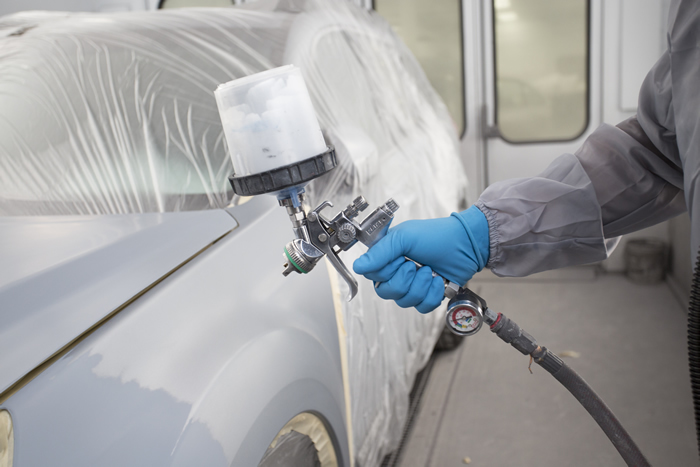 CSN Collision Centres use waterborne paint technology in their vehicle paint and auto body repair services. We guarantee a seamless paint color match for all makes and models. Bring your vehicle in and we’ll give you a free estimate that details all the paint services you require. Our auto body repair specialists will eliminate small dents and scratches to prepare for the best possible finish. Then we prep the surface of your vehicle so it holds your new paint job tightly and won’t crack or peel. We then seal the vehicle over top of the old paint so it won’t interfere with your new vehicle paint job. Then we paint, using our waterborne paint technology, and gloss for a seamless color match. To get a free quote, give us a call at (506) 622-2818 or send us an email using our form.